Backstreet Boys have announced they will be commemorating their 20th anniversary as a group with a new documentary titled Backstreet Boys: Show 'Em What You're Made Of that hits theaters and video-on-demand on January 30th, 2015. The film was directed by Stephen Kijak (STONES IN EXILE, SCOTT WALKER: 30 CENTURY MAN) and stars original group members Nick Carter, Howie Dorough, Brian Littrell, AJ McLean and Kevin Richardson, all of whom were producers on the film along with Mia Bays. Backstreet Boys: Show 'Em What You're Made Of is a surprising and rewarding journey filmed over 2 years that delves into the extremes of fame, fortune, betrayal and renewal. The documentary follows the members as they share their lives with us and relive their journey together, revealing new and old tensions that need confronting and resolving. The multiple award winning and Grammy-nominated group has sold 130 million records worldwide and is recognized as the best-selling boy band in history. Not only have their first 9 albums all debuted in the top 10 on the Billboard Top 100 but they have gone gold and platinum in 46 countries. The Backstreet Boys are the only group in Canadian history to have 3 consecutive diamond albums commemorating sales of over 10 million records and they hold 2 diamond awards in the US. The group also made history when their anticipated 11-week, 39-city 1999-2000 North American MILLENNIUM arena tour sold out within the first hour. The Backstreet Boys continue to be an essential figure in pop culture receiving a star on the legendary Hollywood Walk of Fame in 2013. 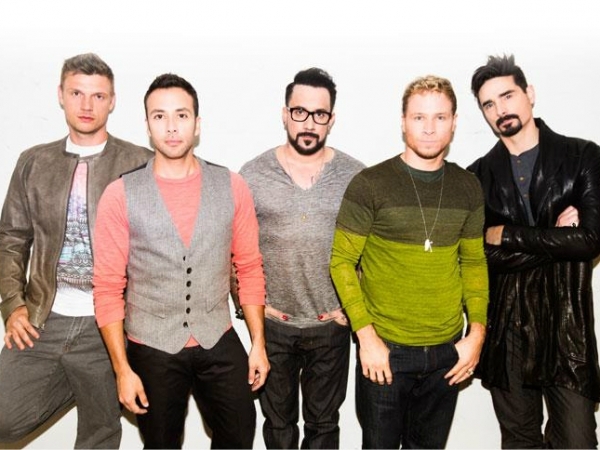 Backstreet Boys: Show 'Em What You're Made Of was produced by group members Nick Carter, Howie Dorough, Brian Littrell, AJ McLean and Kevin Richardson and Mia Bays and executive produced by Sam Sniderman, Jeff Kwatinetz and Jennifer Sousa. Gravitas Ventures acquired the rights to the Pulse Films, K-Bahn LLC and Missing in Action Films production. The deal was made on behalf of Gravitas Ventures by Nolan Gallagher, WME Global, and Sam Sniderman and Paul Grindey for Pulse. The documentary will then have its world television premiere as part of the Emmy Award-winning “VH1 Rock Docs” franchise slated to debut on VH1 Spring of 2015.